I have a simple question. Since we will be able to switch between stage 10 and higher elemental accessories and what not, will the augmented stats (from psyches) on aforementioned accessories remain intact/transfer over or will they disappear upon switching? Psyches will be on the item, you can upgrade without worries. Last time we had "gems rework" players got gem powder back to compensate their effort for making gems by their previous (more expensive) price otherwise they would lose huge amount of powder compared to players that were making them after "rework". Why this isn't the case now? Talisman item seem really not EU/NA price-wise as we are going with balanced system of using all 4 basic materials instead of outdated "only msc/ec". Also why would it require pet packs instead of TS/Jewels, pet pack as it's own name suggest should be used for pet item only which is pet aura. It is P2P, you can farm anything in this game without money. P2W is something that you can only buy and not farm. Yea, the price is way too high. They need good numbers for KR for the end of the quarter I guess. 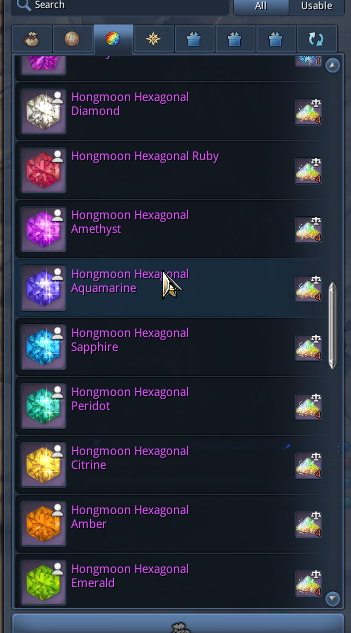 New gem system hurts anyone that transmuted tri guilded earlier and really hurts those tri dyad making whales. That’ll show em! i woudn't mind if it was a farmable number of pet pack for the nova but 370 cmon... just insane. kr do not need em at all just give us same tree as kr or the same weekly challange who give u 1 pet pack and 1 vial/ week. also the gem compensation not coming... u are basically saying to all ppl who donated and supported ur work to ❤ ❤ ❤ ❤ off. I know it is insane and i agree with that, but the game is a pay to progress game and not a pay to win game. That was the only thing i was saying ^^. Thank you for the livestream, it felt very different without @Liinxy and @Babbletr0n, they will be missed for sure. 1 - Are the stats gonna be equalized in the new pvp / battle-royale area ? 2 - Are we gonna have the pleasure to enjoy having a house / estate in Blade & Soul anytime soon, or no plan yet ? It's normal to not get any compensation for it we don't get any for weapon/soul etc. cost reductions either. You got to use it earlier than everyone else that is your "compensation", if you don't like that then don't upgrade before a cost reduction happens. Complaining afterwards about no compensation is just unreasonable. It is my understanding that those are no longer there . What i'd like to ask is there anything to replace them such as heptagonals or a form of ticket or anything that takes gem powders or gem crystals to aqcuire ? And if so how many gem powders/Crystals do they take to purchase? It's split for classes just like the current weapon mats with boxes for each skill specialization for a total of 6 ring boxes and 6 earring boxes. So it actually gets harder to get a specific item since there are more drops per boss. You seem to not play long enough to understand what I said. In past when gems cost was reduced everyone who previously made those gems was granted powder back, that is why I don't understand why this time it should be different, especially that devs seem to care more about playerbase than in past. You mean 3, right? It would be based off the weapon mat groupings and there are only 3 weapon mats. I play since day one but apparently you don't play long enough otherwise you would not expect them to compensate the gems again. Normally you get zero compensation for anything that gets reduced it was really odd that they compensated the gems back then fully it's not something to expect happening again. It's 2 different boxes for the skill specialization for each of the 3 class groups thus a total of 6 boxes. Currently to create Heptagonal gems you need x3 Hexagonal + 8 gem powders. But with new system you can basically craft an Heptagonal with only 2 Gem podwers. My question being should i salvage my current Heptagonal (which would give me 8 Gem Powders) and once new system is implemented, just craft new Heptagonal or would it be like the last time when we had the option of salvaging old gems for new gems + gem powder difference? 1. Any new items added for crafting? 2. List of soon to be bound to account items coming soon? BnS is more and more Pay to win ! 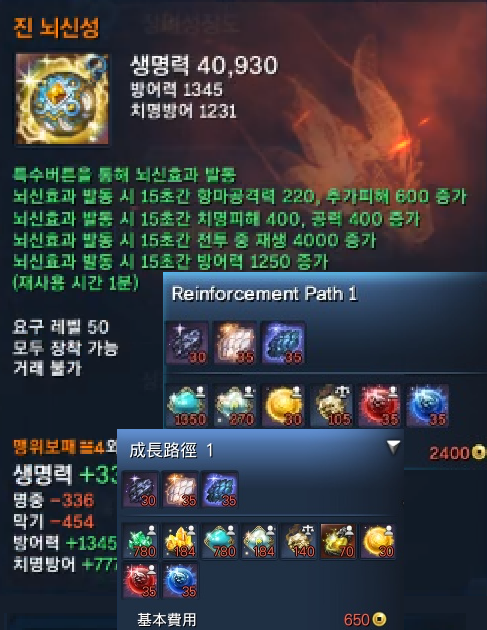 And Nice RNG TROVE !! bnS is just a Joke ! I never heard of other gem cost reduction, if this happened only once and now it's going to happen again why not follow old rule? No one was complaining about this, gems are the least impactful and one of the most expensive things to acquire which makes them worst way to spend your money, its not soul that is huge dmg increase, it's minor change that You won't even notice. I think that's the reason why they did refund it in past and now it's the same story. They are more like cosmetic feature than gear, they don't make outfits and then tell you to upgrade them with your money because they adjusted/changed something. - Any reduction of the requeriments to get stuff related to Hellion Cores? as we always followed TW server for updates.... and as TW server has ONLY farmable items required for nova, we should have the same here. i always supported the server donating and i may be one of the common called '' whales'' but i feel scammed too. the worst thing is that u guys avoided talkin/showing the nova into ur stream cause of '' time limit ''. let's be serious about game situation, it feel like game population is declining more and more at the point to be very hard to find even ppl for normal dungeon farm. these may be a good chance to show ur comunity that u actually care about em. if it's a bug of the test server or a bad decision, just make a step back on it. on my side i can say that if i will see even only 1 pet pack on the nova at release i will stop supporting the game donating, and i hope alot more will do the same that case.